Il misuratore di portata a batteria per "le acque"
This OPC Server manages the battery-operated Promag L/W 800 electromagnetic flowmeter. 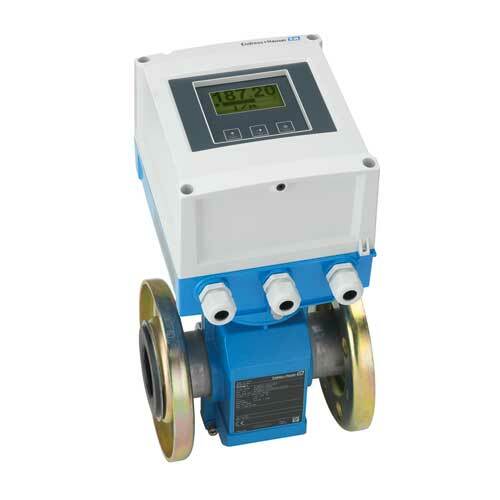 It enables data access to e-mails sent by the Endress+Hauser Promag L/W 800 electromagnetic flowmeter. The data is made available to OPC clients in a CSV file. The data is accessed via email. Bestaat uit: Antenne met 3m kabel, montagebeugel. Bestaat uit: Aansluitklem 3-Pol. Aansluitklem 4-Pol. Aansluitklem 4-Pol. Aansluitklem 6-Pol. Consists of: Cover plastic complete incl. display. O-Ring 195 x 3.53 EPDM. 2 x Hinge pin L= 58mm plastic. Gebruik: Promag 400/800, Promag 500, sensoraansluiting behuizing. Bestaat uit: deksel geplastificeerd, O-ring 91,67 x 3,53 FKM. Bestaat uit: 10x O-ring 195 x 3,53 EPDM. Gebruik: Promag 400/800, Promag 500, sensoraansluiting behuizing. Bestaat uit: 10x O-ring 91,67x3,53 FKM. Usage: Promag 400/800. Consists of: Gasket EPDM for housing/sensor D. Gasket EPDM for housing/sensor L/W. Usage: Promag 400/800 with sensor D/L/W. Consists of: Screw M6x28 A2, washer spring M6 A4, for housing/sensor D. Screw M5x35 A2 for housing/sensor L/W. Bestaat uit: Weer beschermkap, installatiemateriaal. Batterij gevoede zender incl. Beeldscherm, datalogger en Micro SD Card geïntegreerd. Battery powered flowmeter with EN ISO 12944 corrosion protection and intelligent energy efficient mode. Certified sensor for the most demanding water and wastewater applications.